It hardly seems possible, but NEER North moved to our beautiful Ash Street property just one year ago. It’s been an amazing twelve months, thanks to the dedication and hard work of our volunteers and board members, and the generosity of our donors and friends. I can’t thank you enough for everything you do to help us care for our horses every day and to help us build a secure foundation for NEER North’s future. 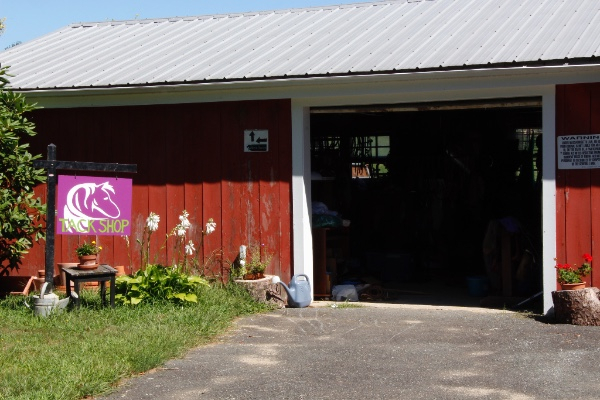 And speaking of foundations, over the last few months, we were able to secure financing for the emergency work needed to repair our barn’s foundation. We are now comfortable bringing horses into the stalls again. Having a secure place where we can house and provide care for our rescues is obviously a priority, and we welcome your support for the maintenance work and repairs that still need to be done. The pastures are greening up, the mud is drying up, and we are looking forward to making great strides this summer in our work to rescue, rehabilitate, and find forever homes for the at-risk horses in our care. We’re planning to celebrate our first anniversary at Ash Street at our Spring Open House on June 5th. Please keep an eye out on our Web site or Facebook for details. See you at the barn! What’s not to love about Goldie? 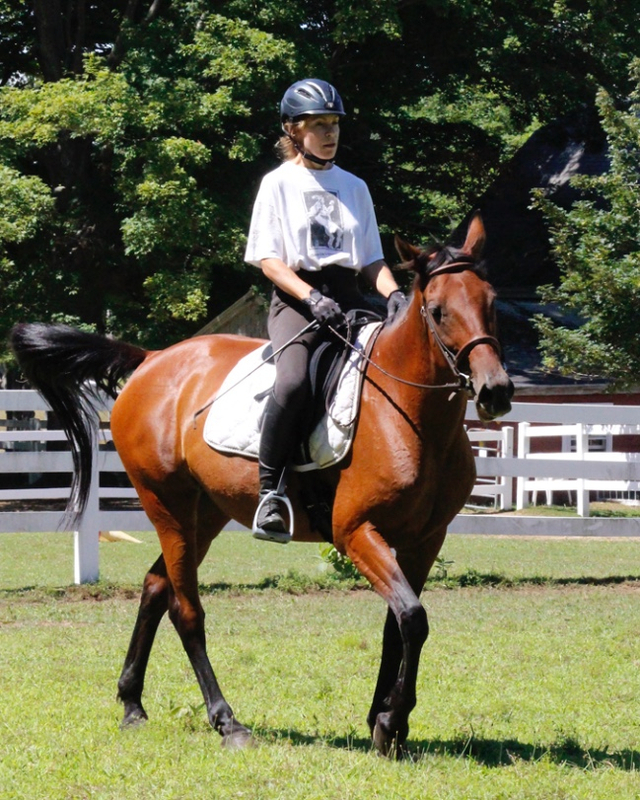 A lovely Standardbred mare (pacer) who has recently been brought back to good health and weight, Goldie is a wonderfully calm and experienced horse with sensible head for trails and work outside the ring. She’s 16 years old, 15.2 hands, and would be an ideal match for an advanced beginner+. Our volunteers love working with Goldie, who is well-behaved in hand, on cross-ties, getting tacked, and with the farrier. She can go English/Western, loads like a dream, and has been to several organized trail rides. Goldie has moderate heaves, which are being managed with supplements. If you’re interested in more information on this terrific girl, please check out www.neernorth.org/goldie. The best outcome for any NEER North rescue is placement in a forever home. Ebony, a Pony of the Americas, was recently adopted by Nikki, a long-time NEER North friend, volunteer, and supporter who is now at college. 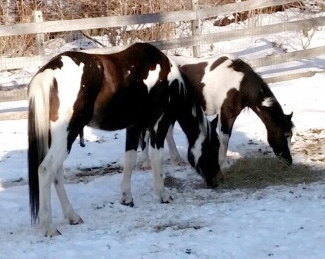 Our Pinto pony Oreo has found happiness in her new home with Brenda. 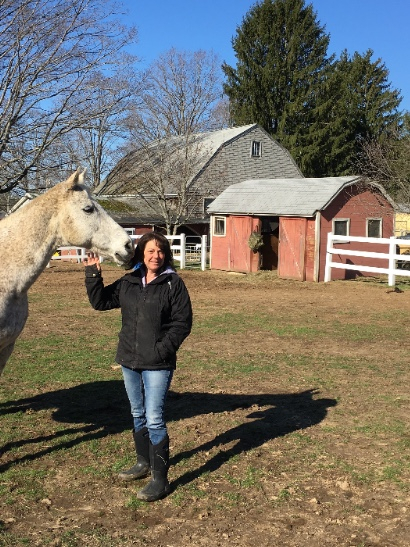 Petey, a gelding Paint who gets along with everyone,will soon take up residence out in the Berkshires with Kathy and Ed. Petey certainly deserves a forever home with someone who will love the companionship of a quiet, easy-going trail horse, and it looks like he's found it! 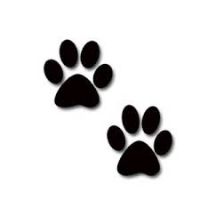 Thank you Brenda, Nikki , Kathy, and Ed, for your kindness to these wonderful rescues! 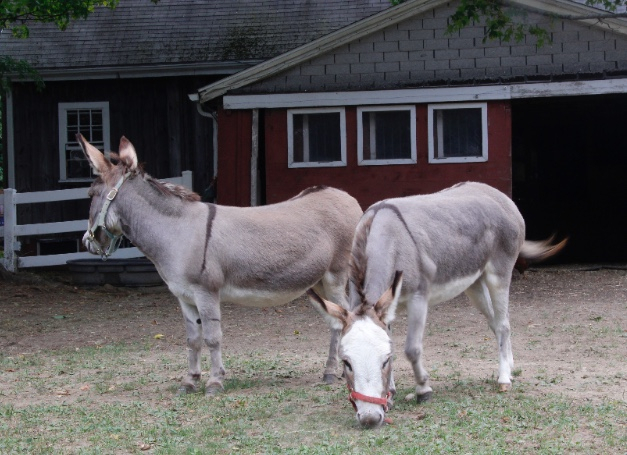 Adoptions are pending for Maggie and Daisy, an adorable pair of Sicilian donkeys who are sweet and friendly. 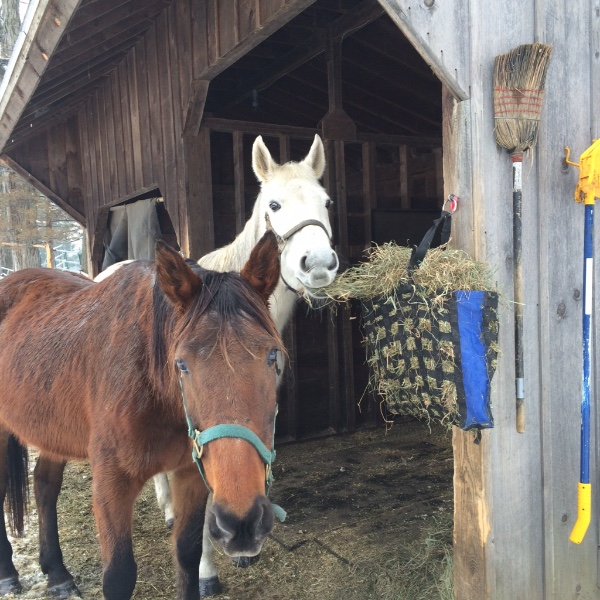 Rita and Shorty are two Standardbred mares we recently took in for a rescue in Maine that needed an emergency placement. They are under assessment, but both seem sweet and good in hand. 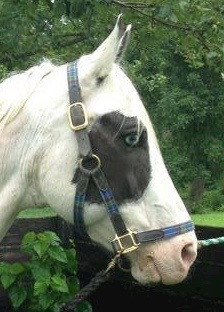 Rita (white) is 15.3hh and 18 years old. 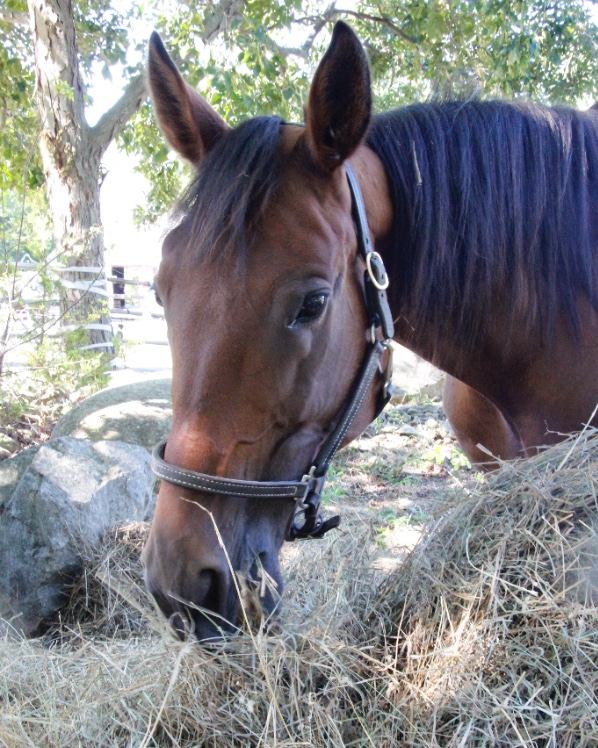 Shorty (bay ) is 15.2hh, 16 years old, and is said to ride and drive. Please get in touch with us if you’d like more information. Mabel’s many friends are, by now, well aware of her chronic hoof problems. There have been times when her situation has been so severe that we thought we might lose her to founder issues. Right now, however, there is good news! 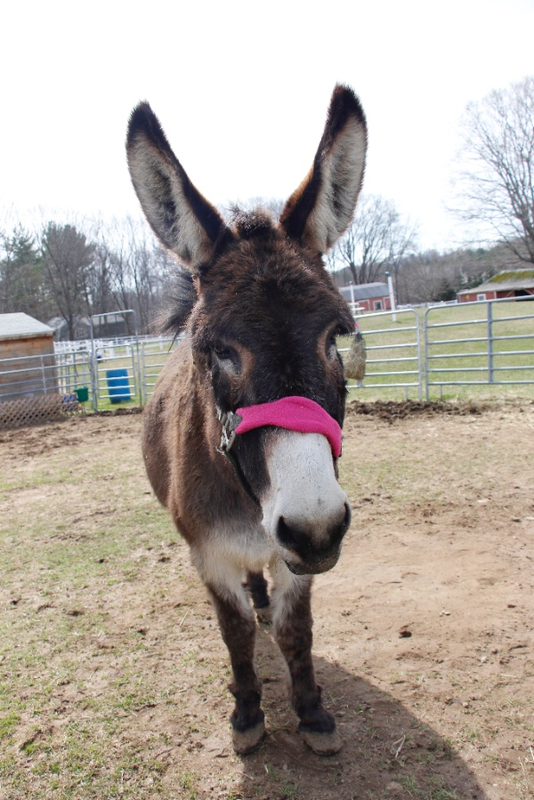 Mabel has recently rallied thanks to the persistence of our dedicated volunteers, specialized veterinary care, and Trevor's farrier skills. 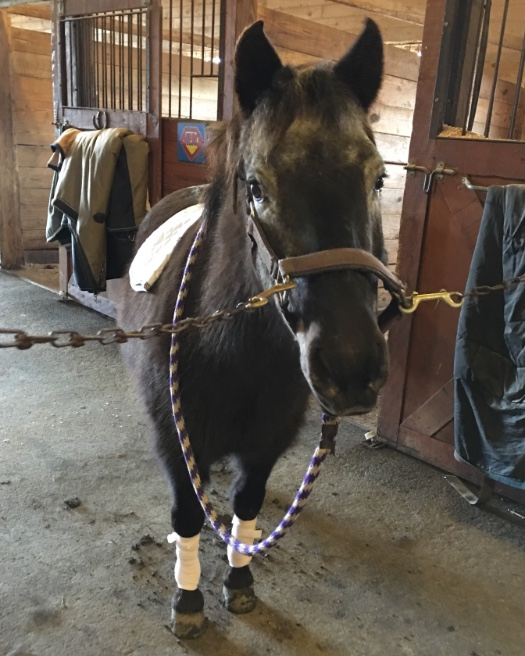 Special thanks go to Jen, who goes the extra mile with hoof care, and to Mabel’s sponsor Ann, who donated a pair of special shoes that we will use when she has setbacks. When it comes to Mabel’s feet, it takes a village! 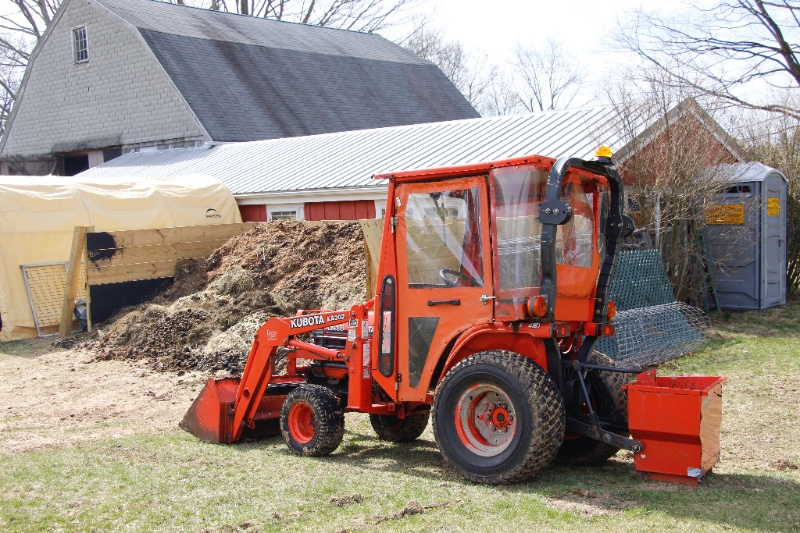 We are overjoyed to announce the arrival of our newest rescue, a reasonably priced, used Kubota that is already showing great potential for manure-pile management and many other tasks around the compound. Our volunteers can, and do, move mountains (we won’t say what kind!) with rakes and wheelbarrows, but sometimes there’s just no substitute for a functional tractor. Please, no calls about this beautiful orange beast—he or she is not up for adoption. But as a special incentive for anyone who wants to be a tractor “sponsor”, we are prepared to award naming rights to the most generous donor! One of the many benefits of our new location is a dedicated space for a tack exchange. We are trying to set up regular hours for this important initiative, but we need volunteers who can commit to covering shifts in a predictable way. For now, our hours are Monday through Saturday, 9:15-11:15 and 3:30-4:30. Closed Sundays. Please contact Kat or Abby for more information about volunteering via email: volunteer@neernorth.org. So it’s Spring, right? Mmmm, I guess I’ll be moving my nap location outside in the sun pretty soon. The birds are back, too. I love those guys, except not the chickens. I really don’t understand why we have chickens, especially that big one that’s so noisy. How’s a cat supposed to get any rest when that guy is crowing all the time? 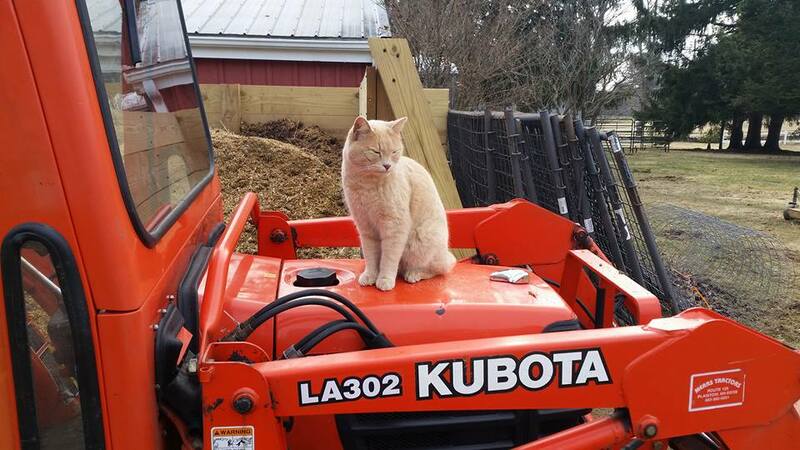 I am enjoying the new tractor, however. . . 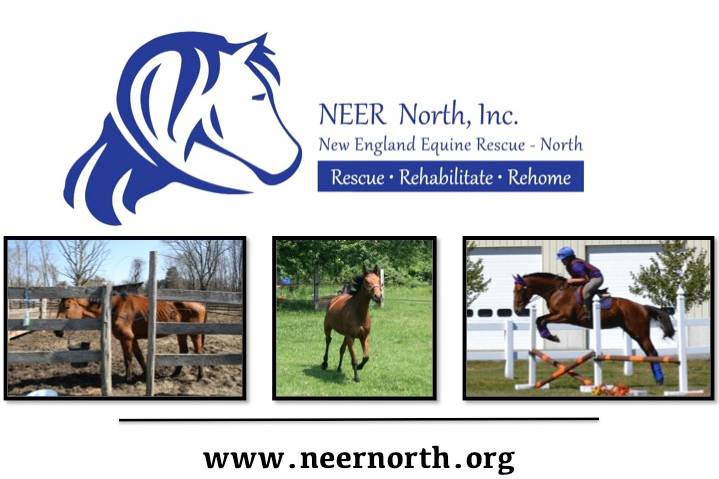 Copyright © 2016 New England Equine Rescue - North - NEER North, All rights reserved.